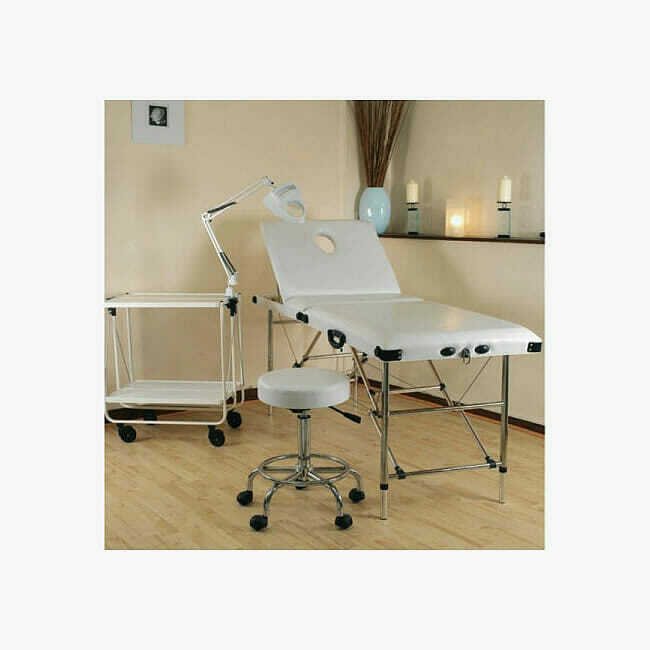 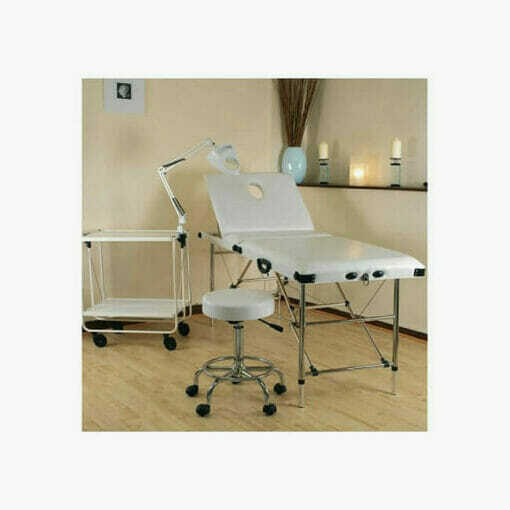 Skinmate Mobile Super Beauty Kit F, consisting of Ultraheight portable beauty couch, variable height couch with a rising backrest and breather hole, with legs that are convenient one-touch, 8 position height adjustable to optimise your work height. 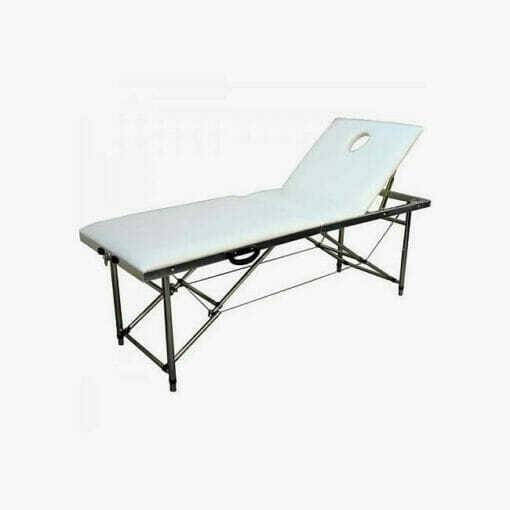 Made from super-soft foam and hard wearing white upholstery.The couches folding frame is made from aluminium, which has the attributes of being lightweight, durable and strong. 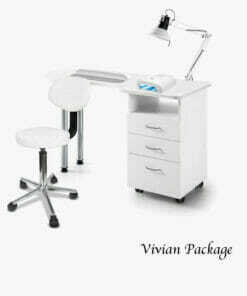 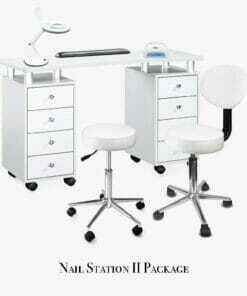 Includes face plug and carry case. 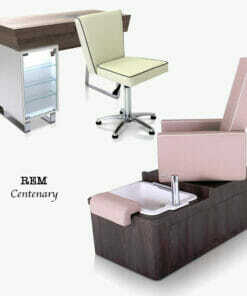 Dimensions Length 185cm, width 63cm and height 66-84cm. 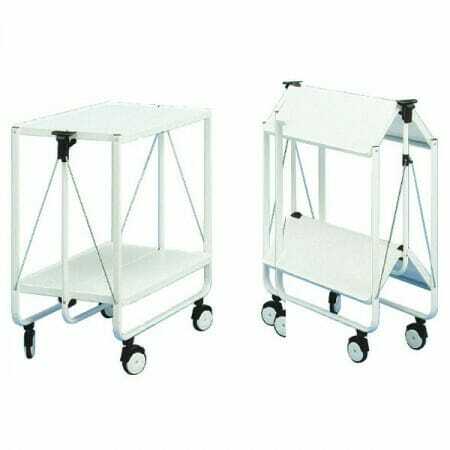 Also consisting of a folding all metal trolley on wheels which is sturdy and lightweight with 2 shelves, dimensions 63cm wide 40cm depth and 72cm high and weight of 5.5 kilos. 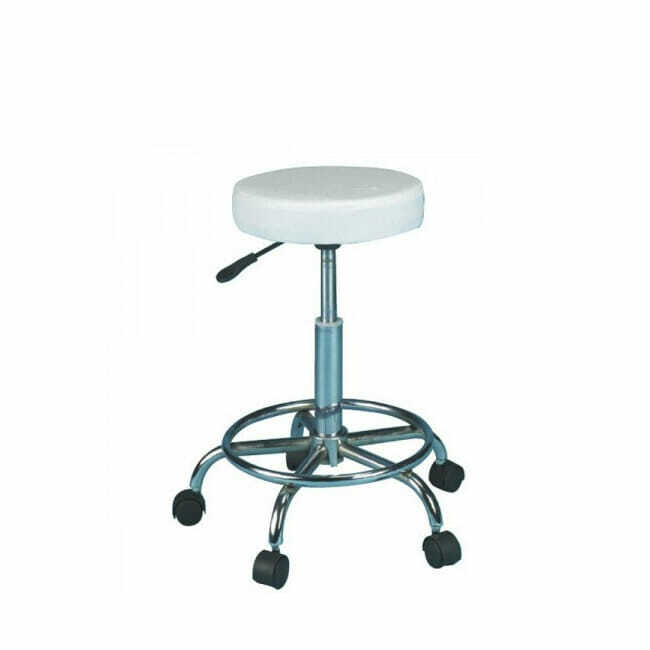 Also a 6cm thick white upholsterd comfort stool with gas lift height adjustment with footring and 5 castors for ease of movement. Height adjustment from 51cm to an extra high 65cm. 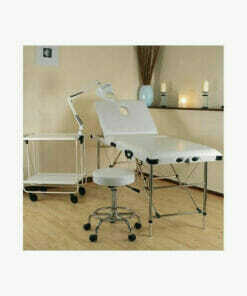 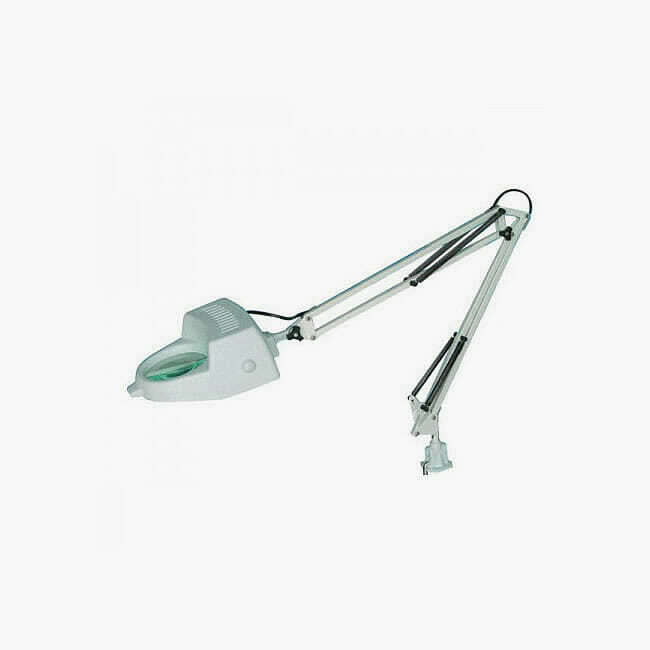 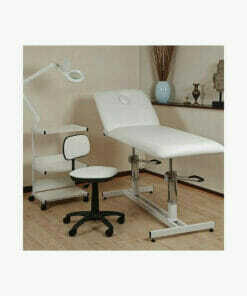 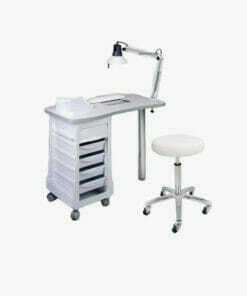 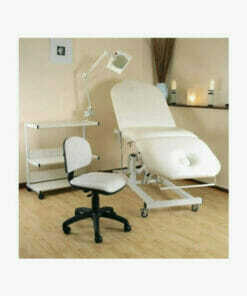 Portable mag lamp with an 80 cm extending spring balanced arm with a cicular 10 cm diameter, 3 diopter clear lens. 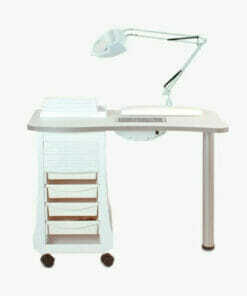 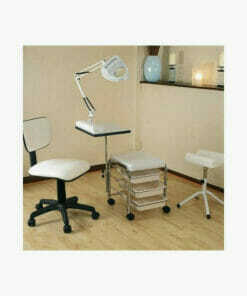 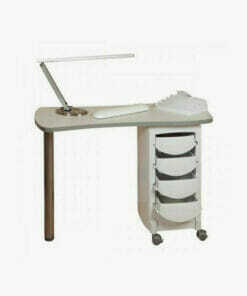 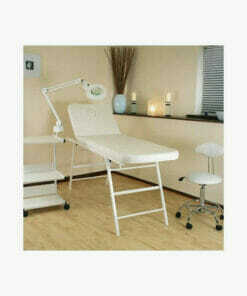 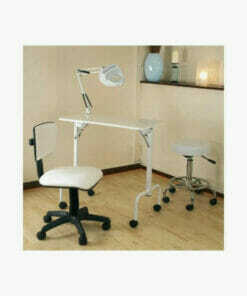 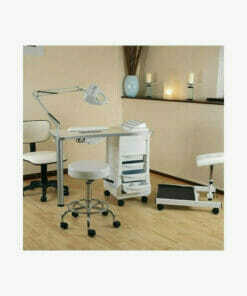 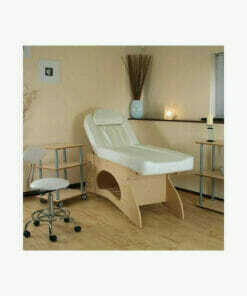 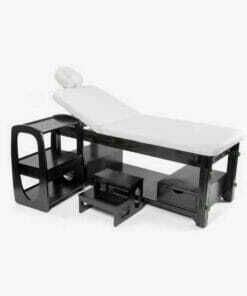 Comes complete with G -clamp that will enable the lamp to attach to any flat surface,trolley or table. Supplied complete with a 60 Watt natural light bulb.